The map of the Republic of Finland, which consists out of over thirty territories and six bonuses. 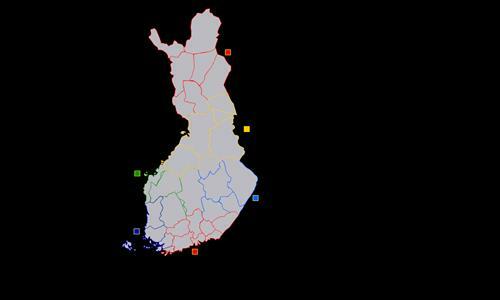 All territories are based on the real municipalities of Finland. Optimal usage is for 1vs1 player games. This is my first map ever. Great little map for 1v1. Nice work on your first time out. You've got a talent for this - how about doing a much more detailed (200-300 territories) map of Finland? I would love to see one. Review by [NL] Willem van Oranje on 7/23/2014. Good small map, excellent for 1v1 game. Small bonusses makes it easy to expand. I was wondering, aren't there already enough maps of Finland? Review by kylanvanhin on 1/31/2015.